The world’s most valuable banknote in circulation is currently worth as much as the value of 1 Bitcoin [BTC]. This is ironic, seeing how the country that issues this currency is one of the most centralized stores of value in the world. The banknote in question is issued by the nation of Brunei, known as the Adobe of Peace. It is located on the north coast of the island of Borneo, and its money comes from huge oil and natural gas reserves. The banknote is the Brunei $10000, which is currently worth around USD7500. The banknote breaks from the trend of the usual small currencies released in countries where the currencies hold a lot of buying power. This is seen in its neighbouring country Singapore, where the $10000 is no longer issued due to its use in illegal activities. The monarch of the state is opulently rich as one of the longest reigning monarchs in the world. The state itself is ranked fifth in the world by the International Monetary Fund by GDP per capita at purchasing power. The GDP of the country comes up to around $33.376 billion, and the country has a public debt of 0%, making it one of the two countries in the world to enjoy the privilege. The coincidence of the price of the banknote and the price of Bitcoin is remarkable as the coin is currently undergoing a bearish market at the moment. With an almost 2% drop in the last 24 hours, Bitcoin is still showing signs of a bearish period. The market is exhibiting volatile behaviour in the past year with drops from $7500 to $7400 on May 27th, and a sharp spike from around $7100 to $7400 on May 29th. However, the coin seems content to not break the $7000 limit any time soon and sink lower, although time will tell the fate of its price. 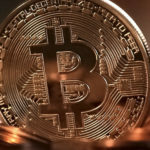 The post World’s most valuable banknote is worth 1 Bitcoin [BTC] appeared first on AMBCrypto.